What It Is: I’m admittedly a cat person, but I do try to suss out some dog-friendly ideas from time-to-time. While today’s choice isn’t for your canine, it’ll certainly work for those doggone crazy friends and family members of yours. Maddie is a Coonhound that accompanied her owner, Theron, on a cross-country photojournalism trip, which she became the inadvertent side subject of in her own right. The book details the postured pup standing with grace and patience on just about any surface you can imagine, as if giving a subtle eyeroll to the human ‘planking’ trend of yesteryear. Shot with a beautiful rustic feel, this is a fun coffee table book for any prideful pooch owner. Who It’s For: Your dog-breeding mom, to get a laugh out of her friends when they come to visit. Your meme-crazy cousin, as a quirky housewarming gift. Your dog-crazy coworker, as a fun birthday gift to cheer them up on tough days. Where It’s At: Booksellers nationwide, or online. Spice Trekkers bonus entry: tell me in the comments below – dog person or cat person? 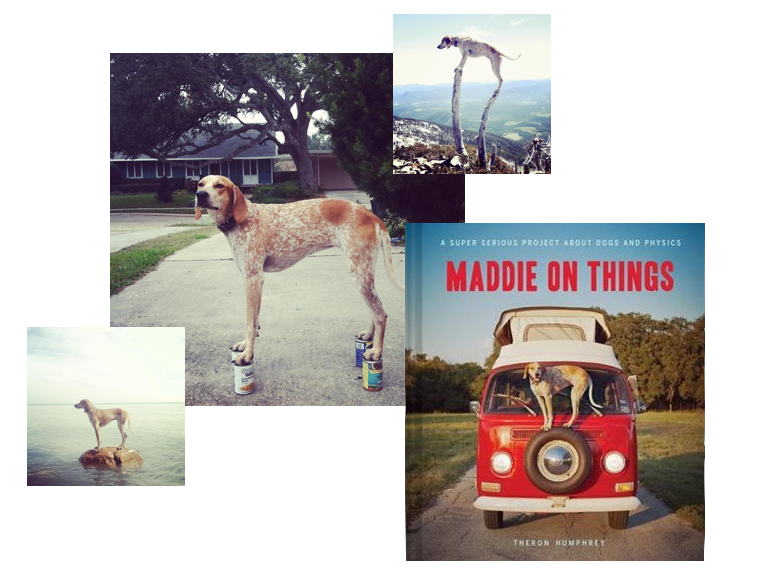 Would you dig the book ‘Maddie On Things’? I like both, but I do have an allergy to cats, so physically a dog person . I know Maddie’s back story, yes I would dig this book. Can person definitely, but I also like dogs, I’d give this book a look-over. I’m very much a “cat lady”, but an animal lover…so yes, I’d like this book too. Interesting topic! I’m a dog person! I’m not sure I would love this book — not my kind of reading. Both, love cats and dogs. Had a cat growing up and now a dog. I would dig this book. basically I’m a cat person but decided not to get a new one because of allergies.love all kinds of other animals as well. This book would be great. Both a cat and dog lover. My granddaughter would love this book. I love both dogs and cats and would probably enjoy this book … although would likely feel sorry for the dog at times! Dog person 100%. I would like this book. Spice trekkers bonus entry – dog lover but also like cats. I think the book would be wonderful to have. spice Trekkers bonus entry – Dog lover, but love all animals. I think it would be a great coffee table book.